Just scanning some old pictures from last year and gotcha! 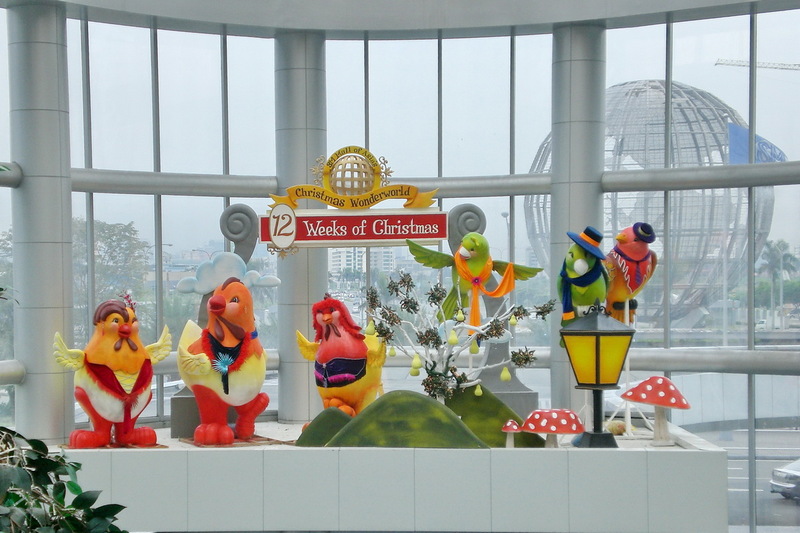 I found this colorful chicken decoration that I took during our visit at the Mall of Asia, Philippines. Just a quick visit this time to post my first Blue Monday entry. 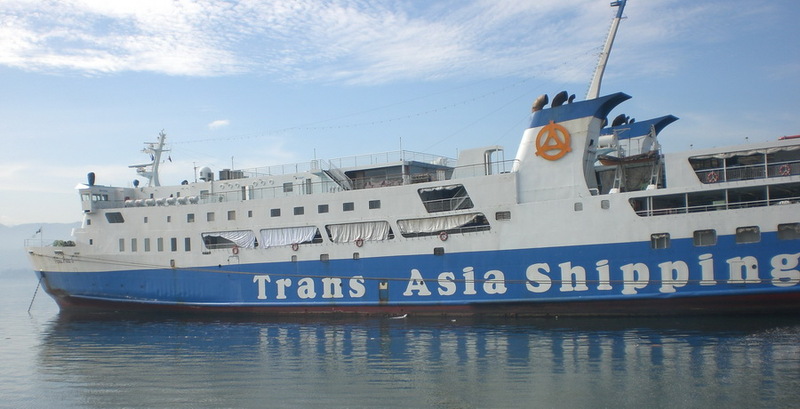 I’m sharing a blue ship that I captured during our visit on the way to Camiguin island. 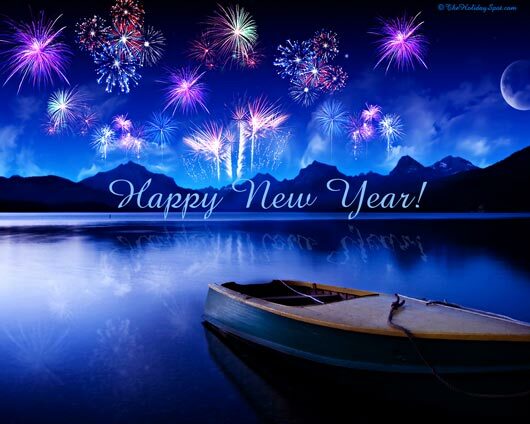 Happy Blue Monday everyone! I’m glad that I’m back home after a long day of walking, phuu. Hubby and I went to Leiden to visit some museums and the shopping center. However, our time was not enough to explore the place so we end up visiting the mummy museum only. We first explore the shopping center, looking what’s interesting stuff they had there. It’s a long walked for me that my feet hurt so much. That is why I’m so glad that now I can sit on a comfy bed, just relaxing and do some blogging *wink*. Our day out was fun because I visit again my favorite museum, a museum where you can also see some mummies. I was curious for that when I was a kid and now I can see it now how it looks in real. Aside from that, I also learned something about it. I’m so interested about Egyptian topic, I find it very interesting topic to learn. And visiting this museum is one way to know something about Ancient Greeks and Egyptian. 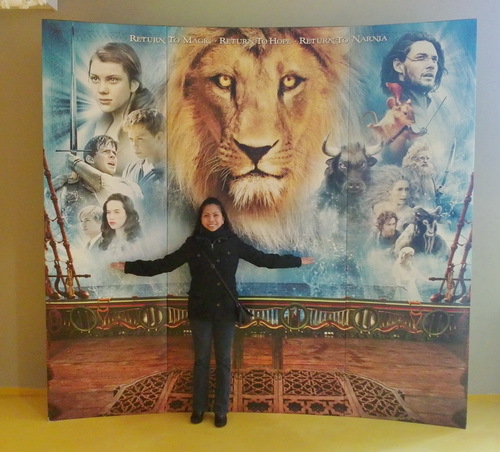 I was just scanning my pictures in my mobile and I saw a picture of myself standing next to the big poster of the movie entitled ” The Chronicles of Narnia: The Voyage of the Dawn Treader”. I almost forgot that hubby and I watch that movie. Anyway, the movie was still fresh in my mind because it’s it’s a good movie. Good movie mostly save in my memory for long, LOL. Hubby and I like adventure and fantasy movie and that’s the reason that we follow this movie Narnia. We like the story of the movie and we keep looking forward to the next part. What makes it different this time from the previous Narnia that we watch is that, we watched it in 3D. It’s nicer to watch in 3D because it looks like everything in the movie was so close to me. I was happy that during New Year’s Eve, we had something to do for fun. We had a lot of fireworks to light during 12 midnight. My in-laws brought some fireworks and it’s many. When 12 midnight came, everyone went out to light our fireworks. Wow! looks like it was foggy that time because of all the smoke from the fireworks. 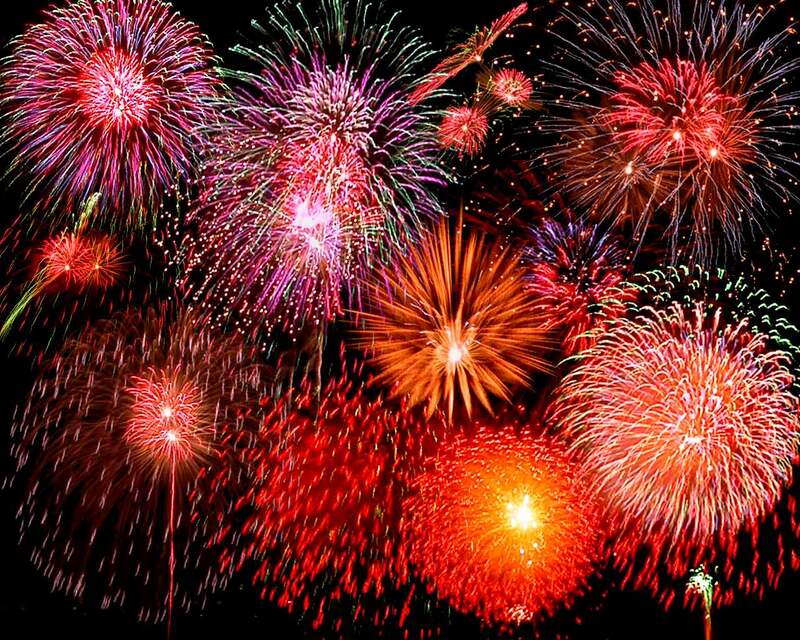 I don’t have the guts to light any of those fireworks, but I had a great time watching all the sparkle in the sky. 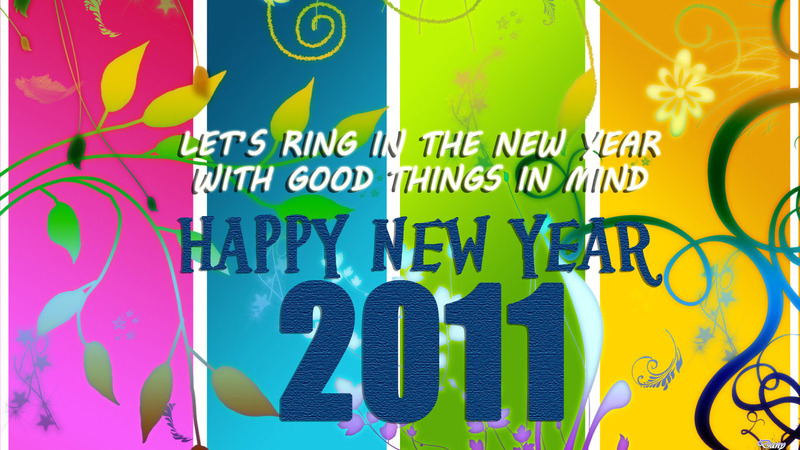 What a colorful fireworks that I can see everywhere. It’s hard to take a nice shot of the fireworks because it moved fast, so I took some video to show to my family in the Philippines.